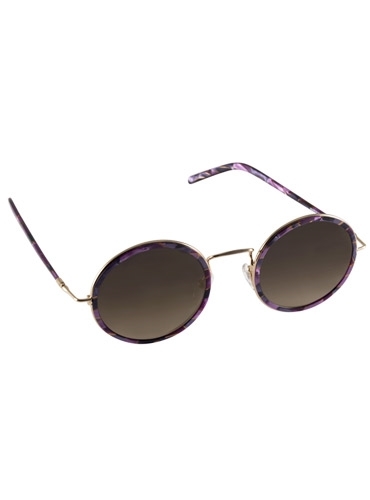 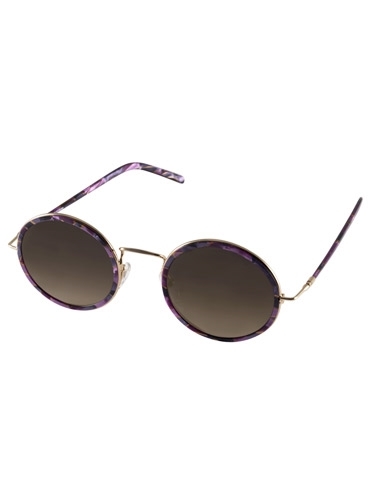 Retro round sunglasses in purple mosaic. 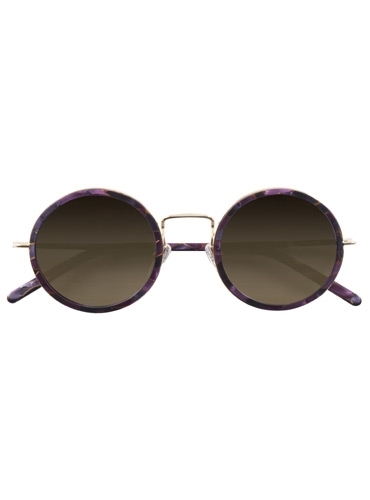 Made in France by Lafont. 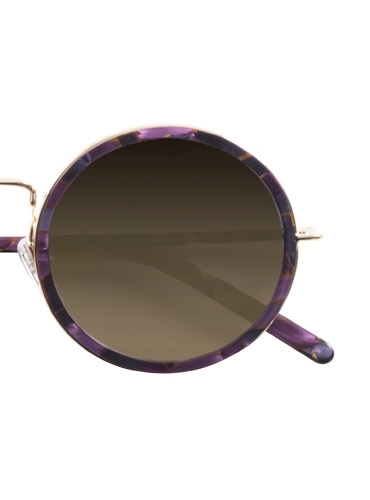 Features 46 mm lenses, 22 mm saddle bridge, and 140 mm temples.